It’s that time of year again. The holidays are fast approaching and you’re ready to spruce up your space before the in-laws come to town. 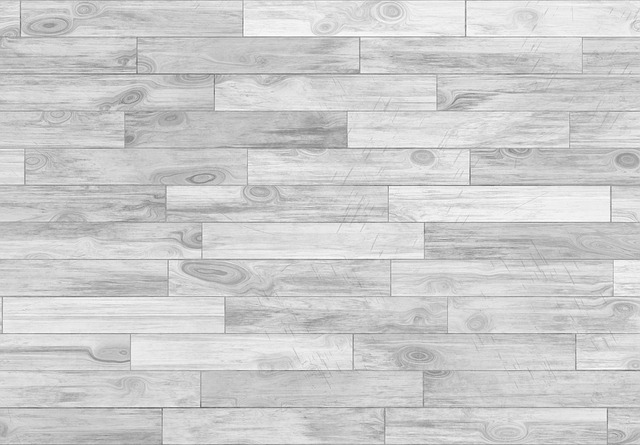 While you’re excited for a fresh new look that will impress your guests, the task of choosing the right flooring can seem daunting. Allow the team at Flortec to ease your mind with a recap of this year’s top trends and a look into what is trending into the new year. With our help, you’ll have your gorgeous new floors installed with enough time to get that 20lb turkey on the table. From brightly hued furniture to black flooring, this season is all about making a statement. Red is making a comeback, especially when teamed up with sleek designs, creative textures, and state-of-the-art advances in flooring technology. 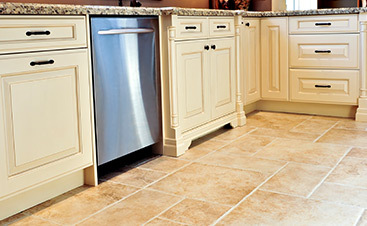 Keeping your home up-to-date starts with your floors. 2018 highlighted five major styles: Blonde, Textured, Wood Look or Engineered Wood, Waterproof and Environmentally sourced. Many of these styles and others are finding their way into the top looks for 2019. While the blonde shade may be fading out with the summer sun, greys woods are quickly making a comeback for those looking for a light, airy feel. We don’t expect eco-friendly or sustainably sourced materials to go anywhere, anytime soon as more homeowner search for the options. Patterns are also a popular option from 2018 that we see finding their way onto top-trend lists for 2019. Herringbone, Chevron and mixed width are a beautiful option for adding a unique design element to your home and you can stay on trend with darker stain options. Thankfully flooring trends don’t change often, but going into 2019 homeowners are looking for innovative designs that will still look fresh and on trend in 10 years. Wooden floors seem to be the go-to choice for many going into the new year as manufacturers are improving on traditional styles with exotic woods in rich, unique colors. Along with exotic woods such as Brazilian Cherry or Teak becoming front-runners, wider, rustic wood boards are making a statement this fall and going into next year. We are also starting to see fun textural styles, such as Terazzo Flooring or large tiles in neutral shades finding their way into homes for the holidays. Red, green, and other bold colors, clean lines and modern decor paired with richly colored or textured floors are going to give your home the wow factor that you’ve been searching for. You’ve been waiting all summer for the kids to go back to school so you can overhaul your house before the rush of the holiday season. You have costumes to sew, turkeys to roast, and halls to deck so the last thing you want to stress over is whether or not you’re choosing the right flooring. Don’t stress over a choice that you’ll only want to change next year by following our guide to the most stylish options trending this season and into the new year. 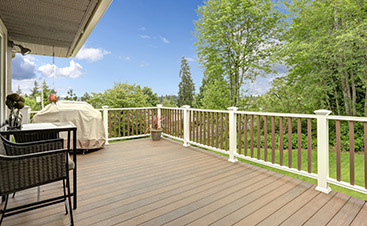 Exotic woods, rich, dark colors, unique textures, and responsible sourcing are your best options to make your home the envy of the neighborhood. Finish off your look with large, luxurious rugs that seem to be the element elevating the style of homes everywhere. Pair brightly colored furniture pieces, modern decor, and neutral tones with rich espresso-toned floors to create the ideal living space to host your holiday events. If you are ready for a new floor, call the team here at Flortec. 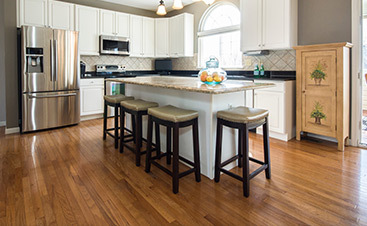 Our professionals are ready to re-do your floors for you right away.